Happy Wednesday! I'm going to try to feature a weekly mani for as long as I possibly can. It will take a lot of commitment but I think I can do it! Yes, I actually did all 10 of my nails! 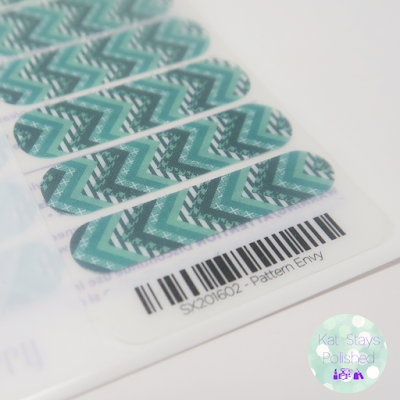 Today's Jamberry wrap feature is this month's sister's Style - Pattern Envy. I loved it mostly because it is a matte finish and it's got mint in it. Here are just a few up-close shots of this design. I love the chevrons and I love how there are 6 different prints on this wrap. 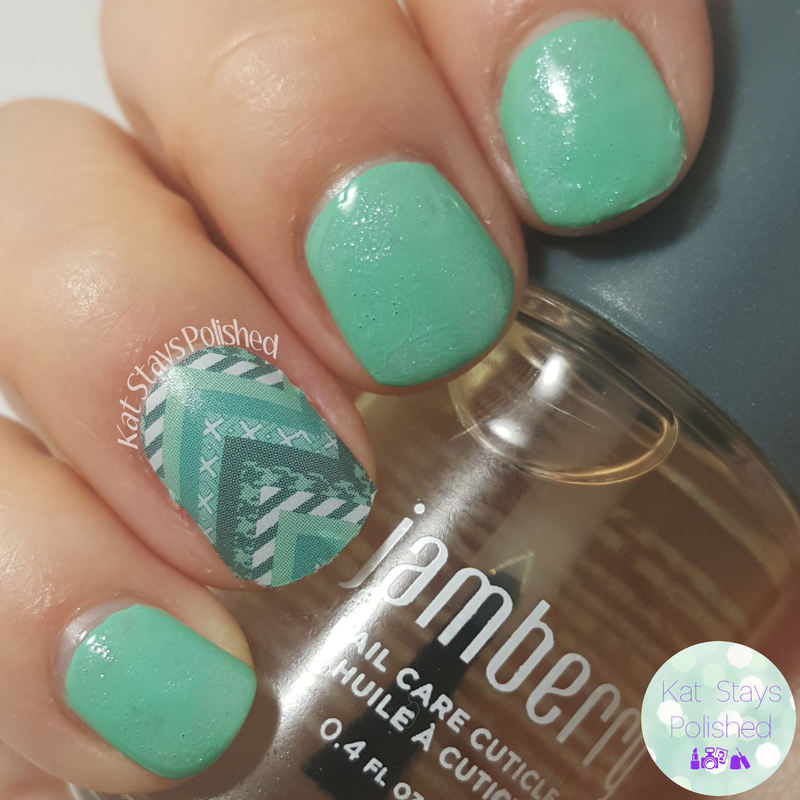 For the polish portion of this mani, I decided to use two mint shades. One is The Mural of the Story, one of the new ones from FingerPaints and the other is JulieG Shark's Cove because of the shimmer. I applied my wraps to my ring finger and thumb first. I made sure they were smooth and "set" before I did anything with polish. I then applied a slightly thick coat of the FingerPaints polish and then dabbed on dots of Shark's Cove. I took a dotting tool and did a little swirl to get shimmer all over my nail. After I was sure everything was dry, I applied top coat to all my nails with polish. I left my wraps alone. What do you think of this look? Tell me honestly now, would you try this? I love having a cute nail design as an accent. This is a design I definitely don't have the talent for. I do have to admit that a couple of polished nails got messed up by me either trying to take pictures, or just typing on the keyboard. It was kinda nice with the wraps to just set it and forget it. Okay folks - that's it for my Wednesday Jam. 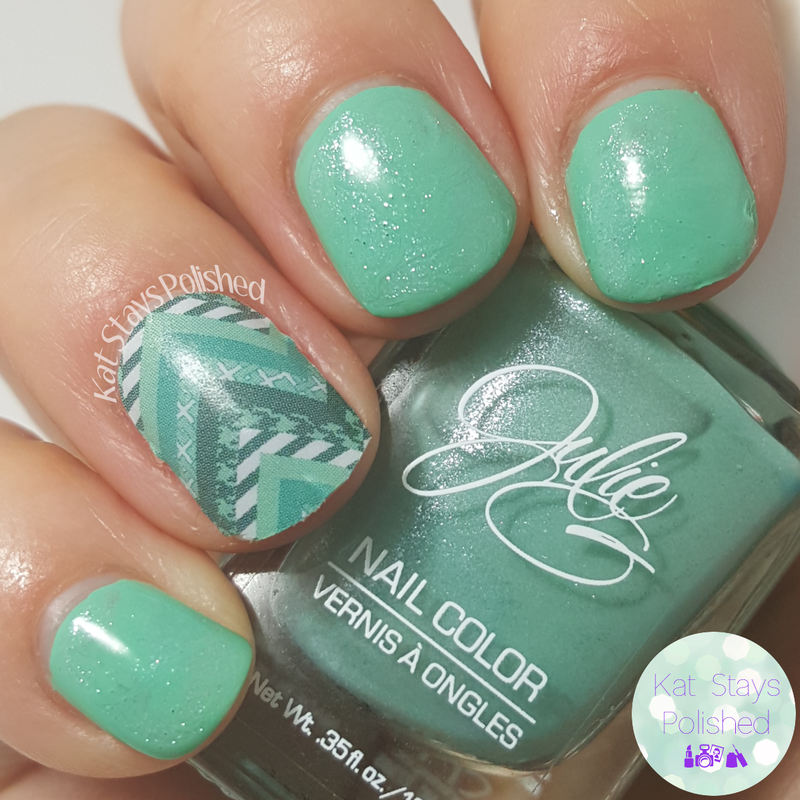 Tune in next week for another design and another mani! If you're interested in this or anything Jamberry, follow links below. I'll be happy to answer any questions you might have! Love the springy mint prettiness! The design on it is so cute. Cute! the color seems very nice for spring, which can't get here soon enough! Agreed! Although, I've been enjoying 60-70 degree weather the past week, haha. I love the mint. It's so fresh. Exactly!!! Half of my wardrobe has some sort of mint in it! Mint green is one of my favorite shades. I would do this mani in a heartbeat! so pretty! YES!!! Let me know if you want me to send you a strip of this one to try! I totally would! So pretty, that color with the slight sparkle is everything! I think the sparkle definitely adds something special to the mani! I love the colors you used. The JulieG polish is really pretty. 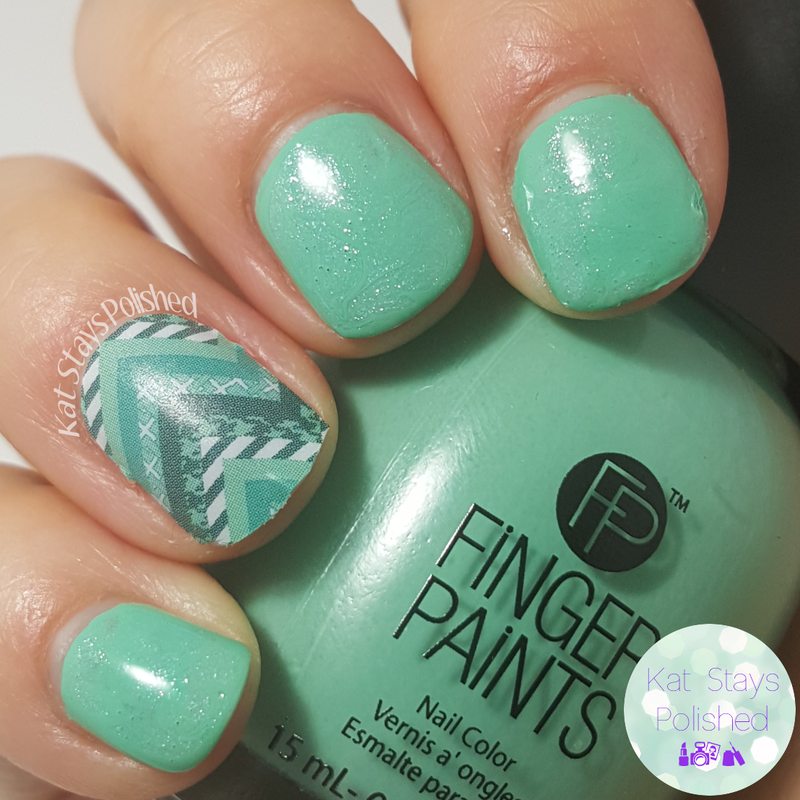 I had forgotten about this color until I went searching for a pretty minty green! Wow you matched the colors up perfectly! Thanks!!! I think I actually surprised myself too! I've always been curious about the Jamberry! If you ever want to know more, just let me know! I like the pattern a lot and definitely think it makes a great accent nail. Thank you! It takes a lot of practice and patience to get them to lay so smooth!